Principal Cast : Ray Milland, Ruth Hussey, Donald Crisp, Cornelia Otis Skinner, Dorothy Stickney, Barbara Everest, Alan Napier, Gail Russell. Synopsis: A composer and his sister discover that the reason they are able to purchase a beautiful gothic seacoast mansion very cheaply is the house’s unsavory past. An early exponent of a “haunted house” feature in which the ghost is legitimate rather than a joke, prank or conspiracy, The Uninvited isn’t scary by today’s standards but it does set a template for mood and atmosphere. In his feature debut, director Lewis Allen (Desert Fury, Appointment With Danger) crafts an intriguing story of murder, infidelity and the supernatural, wrapped in the near constant whiff of mimosa. The Uninvited has a number of cool moments, things that go bump in the night and all, and even contains a hugely effective “ghost” effect that would have had 1940’s audiences shrieking. That said, the film rests on its characters and mood, haunted (pun intended) by Victor Young’s weirdly off-tone score and cinematographer Charles Lang’s effective lensing. 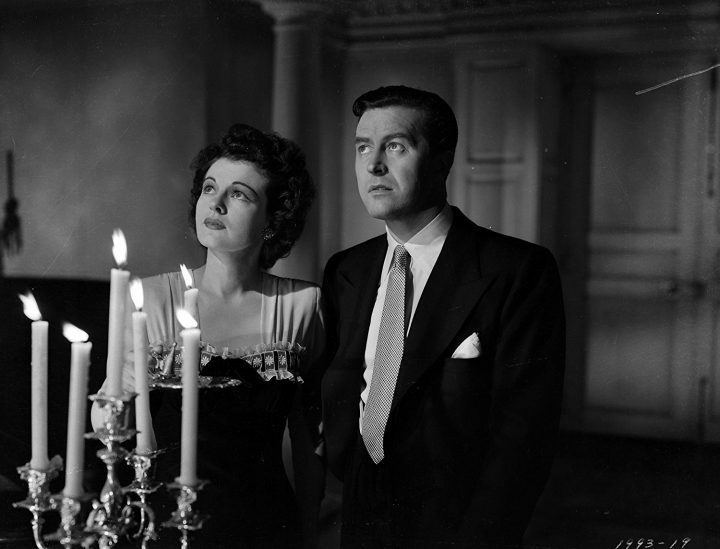 A young composer, Roderick Fitzgerald (Academy Award-winning Ray Milland – The Lost Weekend, 1945) and his sister Pamela (Ruth Hussey – The Philadelphia Story) stumble upon an abandoned cliffside house in the rocky coast of Cornwall, and decide to purchase it from owner Commander Beech (Oscar winner Donald Crisp – How Green Was My Valley) and his daughter Stella (Gail Russell). 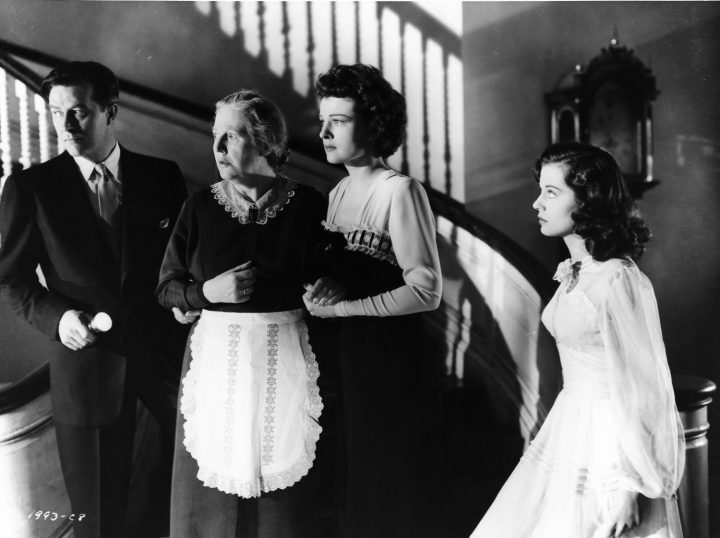 Upon residing in it, they discover it is haunted by a spirit, and through interactions with local doctor Dr Scott (Alan Napier, best known today as Bruce Wayne’s butler, Alfred Pennyworth, in the 1960’s Batman TV series) and the household help – including Miss Lizzie Flynn (Barbara Everest) – they learn the ghost is none other than that of Stella’s dead mother, Mary. As Mary’s presence becomes more pronounced, and the effect on Stella seems to draw her to flinging herself from the nearby cliffs, Roderick and Pamela must find a way of driving out the evils of the house and give Mary’s ghost some peace. Based on the book Uneasy Freehold by Irish writer Dorothy Macardle, Lewis Allen’s haunted house flick is ripe with indicators of the story’s literary form. 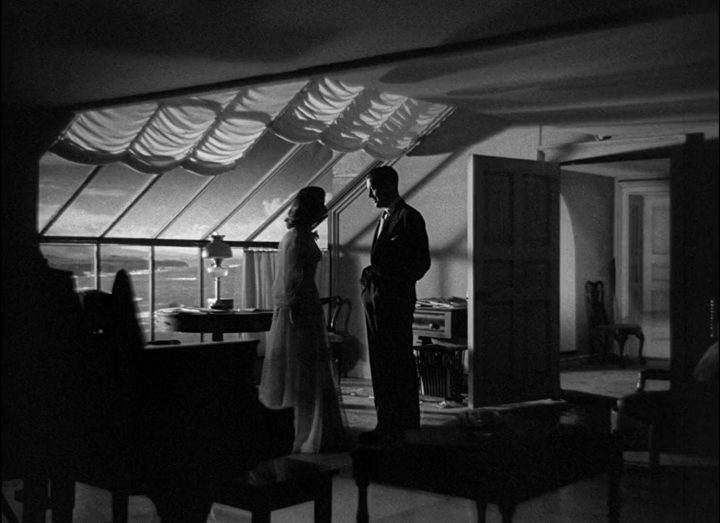 Similarly to Hitchcock’s masterful Rebecca, the “ghost” of a matriarchal figurehead casts a lengthy shadow over the Fitzgerald’s new abode, Windward House, an idyllic yet creepy house atop rock-strewn cliffs along the Cornish coast. The film sets up its location, the cavernous mansion in which the supernatural haunting occurs, as a brightly lit yet dauntingly crypt-like edifice, with the both Roderick and Pamela affected by one top floor room in particular, overlooking the sea. 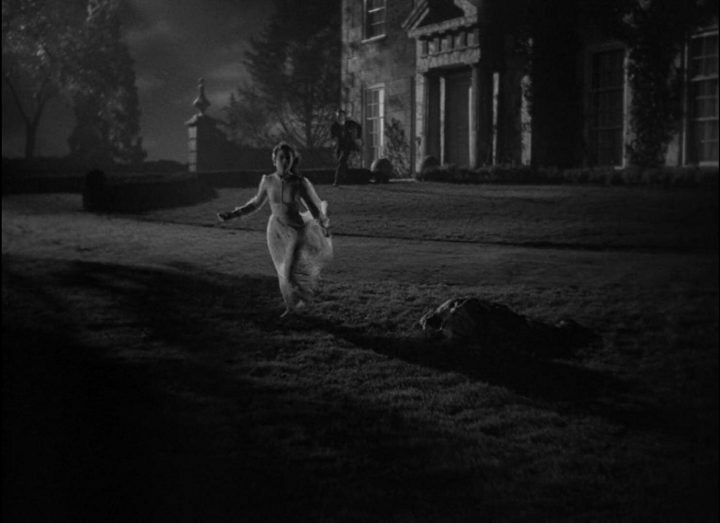 As the film progresses, and the story begins to form in the darker nighttime sequences, The Uninvited takes on an oppressive sense of impending doom, as the apparition and its manifesting physical activities (in which book pages turn, doors are flung open, and female sobbing are primary occurrences) ratchet up to fever pitch. Although it’s ostensibly a film sold on its scares (of which there are relatively few, even for a spook flick like this) there’s a lot of character development and exposition to get through. 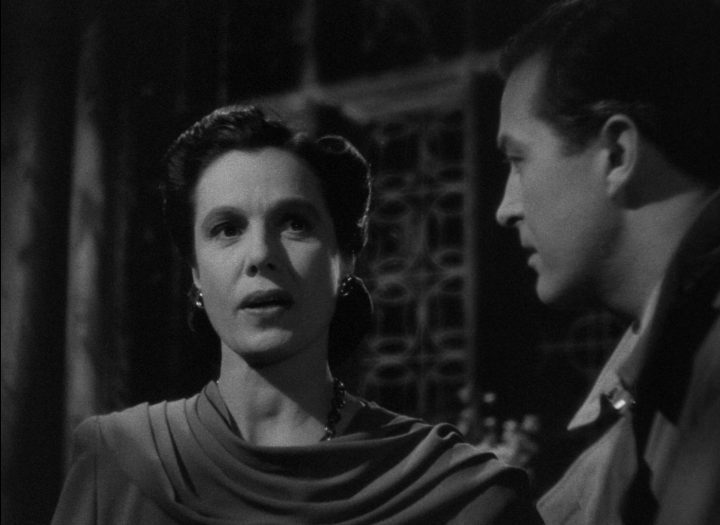 The film’s central mystery – who is the ghost and what is her relationship to Stella – is given lengthy marination with the inclusion of the sinister sanitorium chief Miss Holloway (Cornelia Otis Skinner), whose history with both Mary and Stella have much to do with the film’s gripping climax. Milland’s Roderick and Hussey’s Pamela aren’t particularly deep characters (Roderick is a “composer” and as such plays Stella an ad-lib piece on their piano – sidebar: the tune was turned into a successful American standard, “Stella In The Starlight”), in as much as they’re bland as butter, but once the story takes hold their personas become generic “hero” types and they offer little nuance. 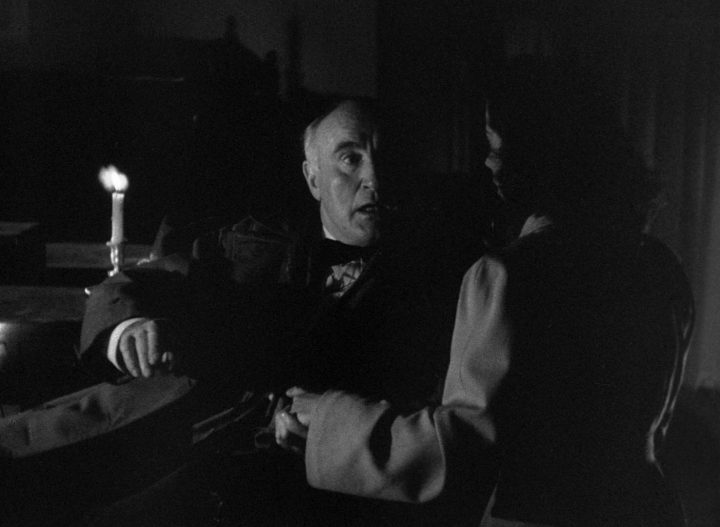 Donald Crisp’s garrulous Beech is a pleasure to watch despite the character’s impenetrable logic, while Skinner’s Miss Holloway is both creepy and sympathetic for her obvious love of Stella’s mother (referenced by the enormous, unsubtle portrait of the woman hanging in her office), making the emotional weight of the film linger on those no longer with us. There’s a vague whiff of creepy too to the relationship between Roderick and Stella. Whilst Roderick and Pamela take up the bulk of the leading action, they portray siblings rather than lovers, leaving room for Stella’s virtuous innocence to become the crux of Roland’s infatuation with her. The trouble is, Gail Russell looks young enough to be their daughter, resulting in an uncomfortably breathy moment late in the film where romance blossoms and I found myself cringing ever so slightly. The fact that there was a near twenty year age gap between Milland and Russell (he was 37 and she was 20 at the time of the film’s release) offers no respite from the paternally predatory feelings I got from the film, despite no obvious overtones to suggest it. The Uninvited may not be traditionally scary, but it is incredibly atmospheric, and among the most creatively mounted horror films of the period I’ve seen. 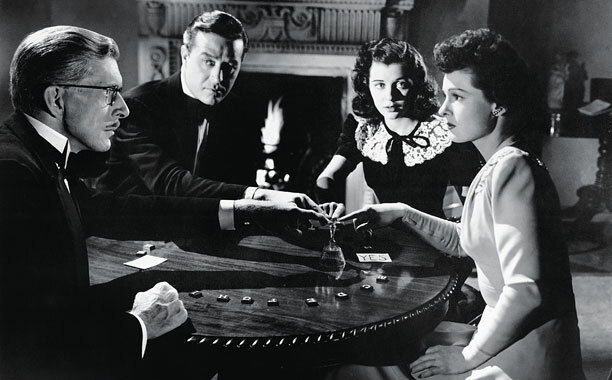 The lavish set design, with ceilings disappearing into darkness and a circular staircase and banisters providing layers of depth between the ghost and the living humans, as well as some dynamite mood lighting throughout the film’s darker sequences, make The Uninvited a real piece of eye-candy for classic film fans. Charles Lang was afforded an Oscar nomination for his cinematography here, and it easy to understand why; the crisp black and white photography and elegantly pointed lighting design, not to mention the film’s effective visual ghost gags (I’m not sure how the apparition effect was achieved, but it looks like an early form of rotoscoped animation) are sublime, with depth and nuance to what might have otherwise been flat, talky scenes of exposition. The exposition there is is hidden by a blanket of smothering darkness throughout, as shadows and light play an integral part of Lewis’ storytelling technique. If there was one downside to the film, it was Victor Young’s score. 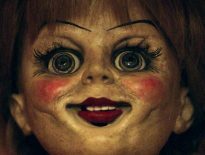 Bizarrely upbeat throughout, the jazzy, boppy composition feels at odds with the story’s darker tones, and I found the jarring nature of the two irreconcilable. The music is delightful in and of itself, and Young, a noted composer who worked with Bing Crosby as well as writing a plethora of hit songs in the day, should be sought out by anyone with a love of screen music. I just don’t think it worked for this film, and that’s a shame. The Uninvited is a gem of a “haunted house” film, and a must-see for aficionados of the genre. Whereas the mainstream ghost films had typically never approached this kind of material seriously (or had offered silly reasoning behind the ghostly stuff), The Uninvited took a different approach and gave the spirit world a legitimacy within the story. 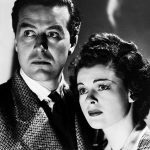 Effective and at times mesmerising for its technical virtuosity, if not its rote characters and wrong-footed romantic intent, The Uninvited is a remarkable piece of cinema history and a claimant to one of the medium’s most prominently forgotten achievements.